Amid a mix of expectations coming into the week, only those at the low end of the spectrum were met. Buyers waited to see what developed after the holiday, with many questioning whether current prices represented “good values.” Producers rode order files or dug in against deep counters. Weakness in futures, with the September contract close drawing near, kept buyers cautious or anticipating opportunities through the board. 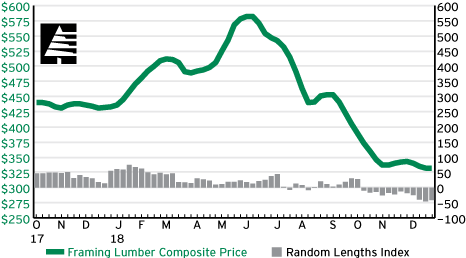 On the strength of Southern Pine #2 2x4, the Random Lengths Framing Lumber Composite Price ticked up $2. 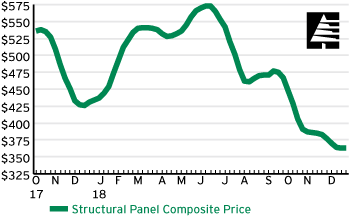 Lackadaisical sales as the holiday weekend approached were just enough to keep structural panel prices firm. Demand for OSB waned, as markets across North America eased into the Labor Day weekend. Prices flattened in all producing regions. Southern Pine plywood sales slowed in late trading, but steady demand was evident through most of the week. Activity in western Fir plywood was steady to start the week, but tapered off as traders got a jump on the holiday weekend.